Fitted with hat shelf, coat hanger and includes holder for labels. Supplied with hasp lock and ventilated at top and bottom to promote good air flow. 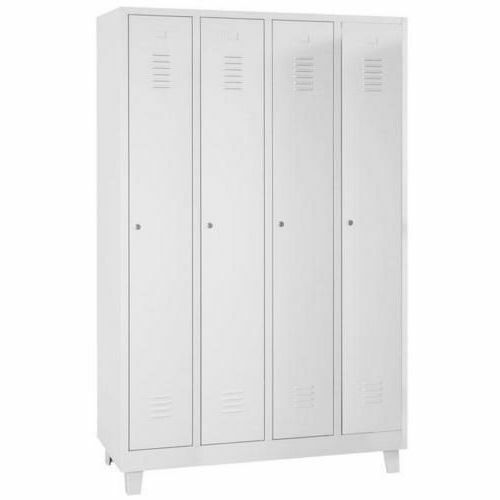 Flat top nest of 4 single door lockers mounted on plinth. please see the Accessory tab for our recommended items.